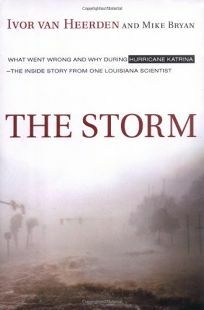 This serious, scientific explanation of what exactly happened in the hours-and years-leading up to Hurricane Katrina's devestation of New Orleans brings a fresh perspective to a tragedy that has generated remarkably similar news accounts over the past eight months. Van Heerden, Deputy Director of the Louisiana State University Hurricane Center, gives a passionate, rigorous account of what went wrong in New Orleans that, if admittedly non-objective, is a noble and credible call for truth and accountability Long recognized by FEMA as one of the three most likely and dangerous disasters threatening the country, the possibility of a hurricane like Katrina was ignored by corrupt politicians and discounted by residents tired of past evacuations (George, Floyd, Ivan, and Rita) that in hindsight seemed unnecessary. Technical details threaten at times to overwhelm readers interested in the human story of the storm, but van Heerden manages to navigate the narrow path that fuses scientific data with a gripping narrative worthy of a Tom Clancy thriller. Informative and emotional, Van Heerden's book sheds new light on one of the most destructive-and important-natural disasters to hit the U.S. in modern history, and is a must-read for anyone truly interested in the facts behind Hurricane Katrina.